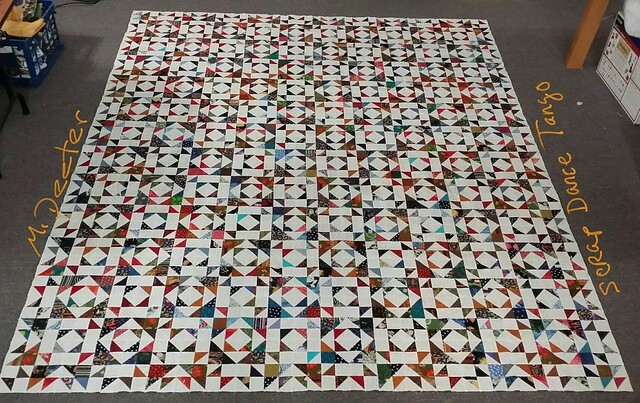 Do you remember my “Scrap Dance Tango Mystery Quilt”?? My last post about it was Sticking to a project . Here is a picture to remind you of the project. Details in her blog post today about purchasing the pattern. And remember, just because I made it king sized, doesn’t mean you have to. The directions were great, everything from a table topper on up to king! She writes great instructions and she helps you take on a big project by breaking it down into manageable bites. This is the 3rd pattern I have done with Carole’s great patterns and I can tell you they are EASY to follow! Enjoy and check out the great stuff going on over at Carole’s page. This entry was posted in Random acts of Quilting and other projects and tagged hobby, quilt, quilt design, quilts, Scrap Dance Tango, Scrap Dance Tango Mystery Quilt, scrap storage, sewing, sewing room, sewing time. Bookmark the permalink. Thank you for linking to the pattern!! Your top looks great!